Variously described as a work of genius, a pretentious wreck, a crucially important film, and a victim of its director's ego, among other things, It's All True, shot in Mexico and Brazil between 1941 and 1942, is the legendary movie that Orson Welles never got to finish. In this book, the most comprehensive and authoritative assessment of It's All True available, Catherine Benamou synthesizes a wealth of new and little-known source material gathered on two continents, including interviews with key participants, to present a compelling original view of the film and its historical significance. 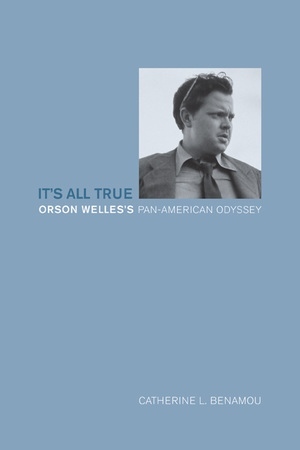 Her book challenges much received wisdom about Orson Welles and illuminates the unique place he occupies in American culture, broadly defined. Catherine L. Benamou is Associate Professor of Film and Media Studies at the University of California, Irvine. She was Associate Producer and Senior Research Executive of It's All True: Based on an Unfinished Film by Orson Welles (Paramount Pictures 1993), and is lead consultant on the It's All True Film Preservation Project currently underway at the UCLA FIlm and Television Archive in Hollywood.